“Gummy squirrels,” single-celled organisms the size of softballs and strange worms thrive in a Pacific Ocean zone some considered an underwater desert. Deep in the eastern central Pacific Ocean, on a stretch of sea floor nearly as big as the continental United States, researchers are discovering species faster than they can name them. And they are exploring newfound fossil beds of whales that lived up to 16 million years ago. The findings — many reported for the first time last week at the Deep-Sea Biology Symposium in Monterey, California — have come as a shock. Some scientists had thought these vast underwater plains, 4,000–5,500 metres below the ocean surface, were relatively lifeless. But that is changing just as nations and corporations prepare to mine this patch of the Pacific sea bed for cobalt, manganese and other elements for use in technologies such as smartphones and electric cars. Researchers are now pushing the International Seabed Authority (ISA), the body that oversees mining in international waters, to limit environmental damage from future activity. 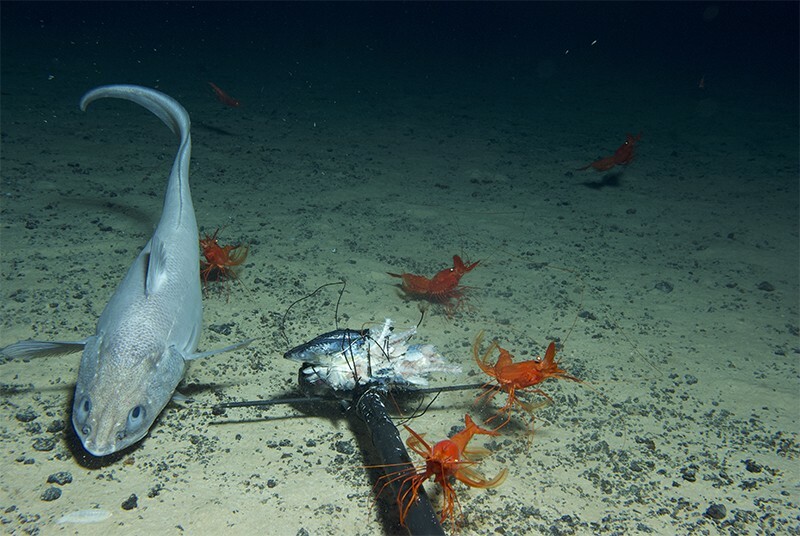 The ISA, which is developing rules for mining in the ocean, is accepting comments on a draft plan until 30 September. Its goal is to release final rules by 2020, clearing the way for mining to start. The ISA began issuing contracts to explore the Clarion–Clipperton Zone (CCZ), a 6-million-square-kilometre swathe of the Pacific Ocean floor that stretches from Hawaii to Mexico, in 2001. The agency has given 29 companies permission to explore mining in international sea beds, including at 17 sites in the CCZ. Those companies, and the nations sponsoring them, must produce environmental assessments of their plots to satisfy the ISA’s mandate to enable mining while preserving the ocean environment. These assessments ultimately help the ISA determine how best to protect deep-sea life. “Scientists have to show that the overall structure of the ecosystem will not be affected — and that is a huge task,” says Malcolm Clark, a marine scientist who sits on the legal and technical commission that advises the ISA. 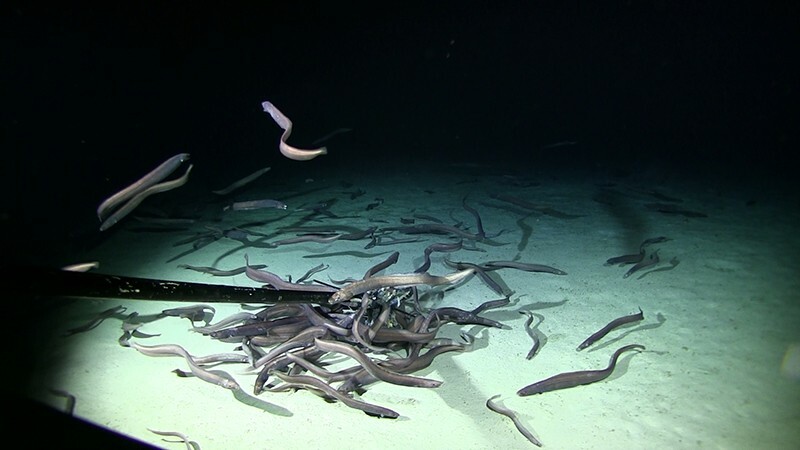 Seafloor surveys are just beginning to map the vibrant life in areas marked for mining. Craig Smith, an oceanographer at the University of Hawaii at Manoa in Honolulu, helped lead expeditions in 2013 and 2015 to a territory in the eastern CCZ claimed by the United Kingdom. He was surprised to find hills and mountains rising across deep undersea plains. The landscape was teeming with life more diverse than that seen at similar depths elsewhere. Seventy percent of the 154 marine worm species found by Smith’s team seem to be unknown to science. The researchers discovered sea cucumbers they nicknamed “gummy squirrels”, and a new species in the order Relicanthus that is related to sea anemones. The organism attaches itself to the stalk of a sponge and extends spindly tendrils into the current. The team also spotted rare worms that resemble squid. Adrian Glover, a deep-sea biologist at the Natural History Museum in London, has found that potato-sized nodules of manganese and other metals in the eastern CCZ harbour geometric sponges and other tiny, rarely seen invertebrates. And swathes of the sea floor are covered with enigmatic xenophyophores — ornate single-celled creatures that can be larger than a softball, and that exude slime as they feed. Most of the xenophyophores that scientists have found in the area were previously unknown, expanding the number of recognized species by about 30%. But the wave of discoveries in the eastern CCZ is not limited to living species. Amon stunned the audience at the deep-sea symposium with photos of fossilized whale skulls encrusted in metallic residues. Her preliminary analyses suggest the bones belong to perhaps 6 extinct species of whale that died between 1 million and 16 million years ago. A study published1 in August suggests that modern beaked whales feed on the seafloor in the eastern CCZ. The authors speculate that the whales ingest metallic nodules to regulate their buoyancy underwater. Amon is among the scientists who argue that their findings should prompt the ISA to conserve a section of the eastern CCZ. In 2012, the agency set aside nine preserves in the CCZ, relying largely on satellite images showing the density of plankton in the sea. But none of these areas is in the east, where researchers have begun to document surprisingly complex sea-floor ecosystems. Christopher Williams, managing director of Seabed Resources, the company that is working with the UK government to develop deep-sea mining in the eastern CCZ, is surprised to hear about such diversity. Williams says that he would not object if the ISA decided to establish a new sea-floor preserve in the east — outside the UK’s mining territory. Amon also wants companies to report when they discover fossils on their mining plots, so that those finds can be analysed by scientists. “It’s important to consider information that tells us about the history of our planet,” she says. On land, the United Nations Educational, Scientific and Cultural Organization (UNESCO) works to protect archaeological, cultural and palaeontological relics from mining and other development. Amon argues that UNESCO’s oversight should extend to the deep sea. And Smith is pushing the ISA to support research in the open waters above sea-floor mining zones. He and his colleagues say that silt and toxins discharged by the mining of metallic nodules could prevent some marine organisms from breathing and eating, block bioluminescent light that some use to attract prey and find mates, and pollute the food web. Others are more philosophical. Clark says that researchers will never know everything that lives on the deep-sea plains, and must plan around this uncertainty as they advise the ISA. “Scientists have to recommend a course of action that includes a learning process, so that if things start to go off the rails we can get back on course,” he says. In the meantime, the ISA is under pressure to finalize its mining regulations by 2020 so that large-scale operations can begin. Japan began extracting deep sea minerals late last year at a test site near the island of Okinawa. And a Belgian company, Global Sea Mineral Resources in Ostend, plans to test its equipment in the CCZ next year. Correction 24 September 2018: This story incorrectly stated that the International Seabed Authority began issuing contracts to explore the Clarion-Clipperton Zone in 2011; in fact, the authority started the process in 2001. Marsh, L., Huvenne, V. A. I. & Jones, D. O. B. R. Soc. Open Sci. 5, 180286 (2018).